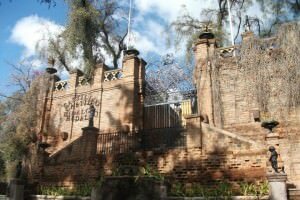 You’re going to want to experience the city of Santiago in Chile. With our scheduled “leisure days” to hang around town you’ll have free time to acclimate yourself to the culture. We’ll have all day Saturday July 13th, Friday night the 19th and again Saturday the 20st – to check out the museums, cafes, wineries, and local shops. OvRride never leaves the nightlife out of our plans. We’ll be spending 2 nights in Santiago, strategically set on a Friday and Saturday evening. You’re going to want to check the unique local culture after dark. 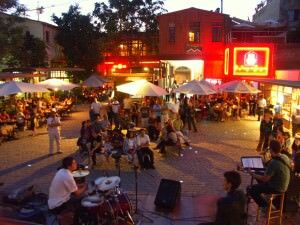 You can Enjoy the spectrum of Santiago from beer-by-the-liter & plastic tables, to fine dining & glasses of local artisan wine. 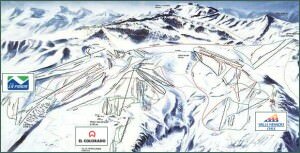 When we arrive at the mountain we’ll be staying at the ultra homey Powder Lodge located in the village of Farellones and right next to a chair lift at the Resort El Colorado. 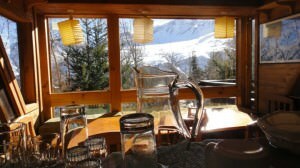 It seemed like the obvious choice, not only due to its central proximity to the 3 Valley Resorts, but also its true Chilean rustic mountain feel and world class accommodations. Check out the table where the best chef in Farellones will be making you breakfast, après appetizers and dinner every day while we stay. Our stay includes daily breakfast, après meals, and dinner and top off each meal with a glass of complimentary local wine. 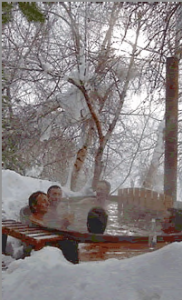 No doubt we’ll also be taking advantage of the outdoor hot tubs for mind and body healing daily. 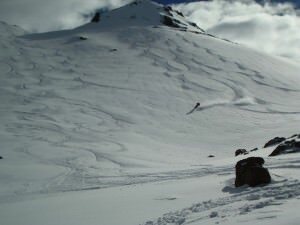 This entry was posted in Trips and tagged back bowl, chile, El Colorado, La Parva, north chile, northern chile, Ski Arpa, snowboarding, South America, south american summer, Summer in South America, Summer Snowboarding, Valle Nevado. Bookmark the permalink.